AIDA Cruises has announced that it will name its new ship for 2015 delivery the AIDAprima. Under construction at Mitsubishi in Japan, she will be followed by a sister ship in 2016. The AIDAprima will sail year-round from Hamburg, starting June 20, 2015. 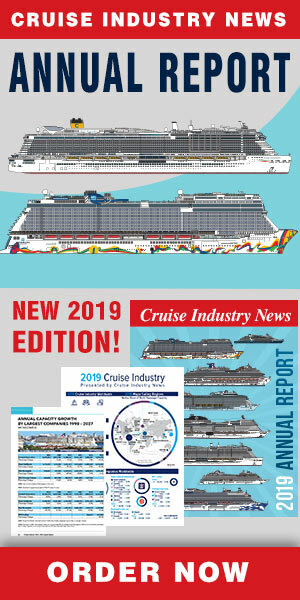 "The AIDAprima will usher in a new era of cruising," said Michael Ungerer, president of AIDA, in a prepared statement. “Our new flagship offers more space, more variety, more individuality than ever before." The new, somewhat unusually looking ships are 124,500 tons, with a passenger capacity of 3,300, thus significantly larger than the current ships in the AIDA fleet. AIDA said the new ship has new “activity decks” based on what it called the 4 Elements , that is, water, air, earth and fire. There is fast-paced fun on the two water slides or a lazy drift down a river, rock climbing, a sports deck where participants can be viewed on a giant LED wall. And for the first time, in addition to the Kids and Teens Clubs, there is also a mini club for infants from six months. In the Beach Club, guests can unwind by the pool. At night, the area turns into a party scene. The Lanai deck is described as a throwback to the classic promenade deck. It has a small outdoor swimming pool, relaxation areas and a boardwalk. Glass elevators connect the outdoor areas, and a glass skywalk 45 meters above the water level at the stern are among other highlights. The new Body & Soul Organic Spa features what AIDA calls organic treatments. The new AIDA plaza offers numerous shops and bars and will function as a living stage for street performers and a meeting place for guests onboard. The heart of the entertainment is the enhanced Theatrium, AIDA’s trademark, with a round stage. The ship has 1,643 cabins, and 14 different cabin options are available. The standard balcony cabin has a six-square-meter balcony with space for up to two chairs. Going up the ladder to larger staterooms, the balconies become larger too. New are also the Lanai cabins with winter gardens and large balconies (deck 8). The AIDAprima will have 13 restaurants, offering a so-called “culinary journey around the world.” In addition to the AIDA classics like the restaurant market, Belladonna or the East, will be the Fuego, another family-oriented buffet restaurant. Sit-down restaurants with table service, include a French and Mediterranean restaurants. Chefs will also go ashore and buy ingredients at local markets to be prepared with guest participation. The 18 bars onboard include a two-deck venue operated in cooperation with Moët & Chandon. On the technical side, the new ships will feature exhaust after treatment, according to AIDA’s statement, assumingly meaning scrubbers. Propulsion will be via pods. Dual fuel engines will also allow the ships to run on LNG while in port. The maiden voyage of AIDAprima sails from Yokohama to Hamburg, March 22 to 16 June 2015. 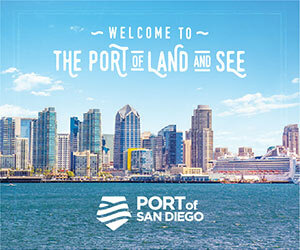 The first of 52 seven-day cruises from Hamburg starts on June 20, 2015.